Security is one of the biggest reasons why Online Faxing has become the preferred alternative to traditional fax, and there are many aspects of it. On one hand, many companies nowadays are obligated to comply with regulations such as MiFID II, GDPR, PCI-DSS, and the Dodd-Frank Act. These directives are evolving constantly, and new requirements are added on a regular basis, which makes the continuous updating of onsite infrastructures expensive, inconvenient, and time-consuming. On another, because actualizations and maintenance incur in significant costs that many companies can’t afford or don’t want to spend, businesses continue using outdated versions that cause huge breaches in security. In addition to the use of outdated technologies that can’t keep up with the latest security updates, Online Faxing also provides greater security in the management of information. In traditional faxes, documents containing sensitive information often sit out in the open on the fax machine for a really long time, with the risk of being seen collected by the wrong person. In Online Faxing, sensitive information is encrypted during the transmission, and when it reaches the recipient, it is only accessible from his personal account (protected with a strong password). Virtual Fax makes the storage and archiving of information very easy, because it allows you to electronically sort documents directly from your fax portal or email. This eliminates the need to handle mountains of physical documents, which can be lost or damaged at any time; and there is no need scan these faxes in order to store them electronically. Traditional fax infrastructures consume over 200 billion pages in the US alone, contributing to the destruction of forests and causing an irreversible damage to the environment. According to BeBusinessed, switching only 5% of these fax machines to Online Faxing would save about 10 billion pages of paper, and over 1 million trees annually. Additionally, reducing paper by 5% will save over 360 million gallons of water and 215 million kilowatt hours of energy each year. Maintaining hardware infrastructures can be really expensive, with incurring costs for ink cartridge of up to 50 dollars per 200 pages, among many others. In fact, it is estimated that Virtual Fax can save your company at least 500 dollars annually (or more, depending on the use), which can make the difference especially for smaller companies. In addition to ongoing costs like ink cartridge, paper, and energy consumption, there are also expenses for maintenance, repair, local telephone line services, and even long-distance charges. Online fax, on the other hand, is extremely cost-efficient – in solutions like eComFax, you pay only for what you use, without incurring in any unnecessary expenses. Online Faxing is significantly more convenient than traditional systems All your incoming faxes are available immediately in your fax portal or email inbox, and outgoing faxes can be uploaded digitally with a single click, without wasting time in scanning. Additionally, fax can be sent to multiple numbers in the same moment (whereas traditional fax only allows one sending at a time), making this technology faster and more convenient. As we talked in one of our previous articles called Virtual Fax vs. E-mail: Why do companies still fax, documents sent by fax are considered legally binding due to their authenticity – because data is transmitted via telephone lines, a cybercriminal would have to know the precise moment in which a fax is sent in order to be able to interrupt it. In comparison, emails are not legally binding because they are less secure and more vulnerable to potential cyber attacks, thus becoming easily accessible by hackers. In addition, solutions like eComFax are certified for the delivery of documents with Proof of Delivery for legal compliance. While traditional fax requires a physical machine to send and receive fax, virtual systems allow you to manage all your faxes directly on the cloud – from any point of the world that has an Internet connection. This means that you can access all your important documents at any time, no matter if you are on a holiday or doing a business trip. 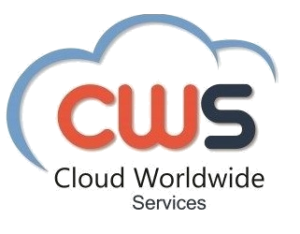 As opposed to onsite infrastructures, virtual fax providers like Cloud Worldwide Services offer easily scalable solutions that adapt to the needs of your company. Whether your business is expanding, you need to open multiple fax lines, add various users, or send more (or less) faxes than you initially forecasted, scalable systems are always up and running to meet your requirements. Under the pay-per-use pricing model, you can always be sure that you aren’t paying a single cent more than what you’re actually using. And if you need a plan with less credit for fax than what you initially thought you would need, you can change it easily and without incurring in unnecessary costs. Electronic signatures are one of the main reasons why Online Faxing is so beneficial for companies, as they are legally stronger than signatures provided through other methods. Virtual fax service providers let you apply digital signatures to any document without having to print absolutely anything.